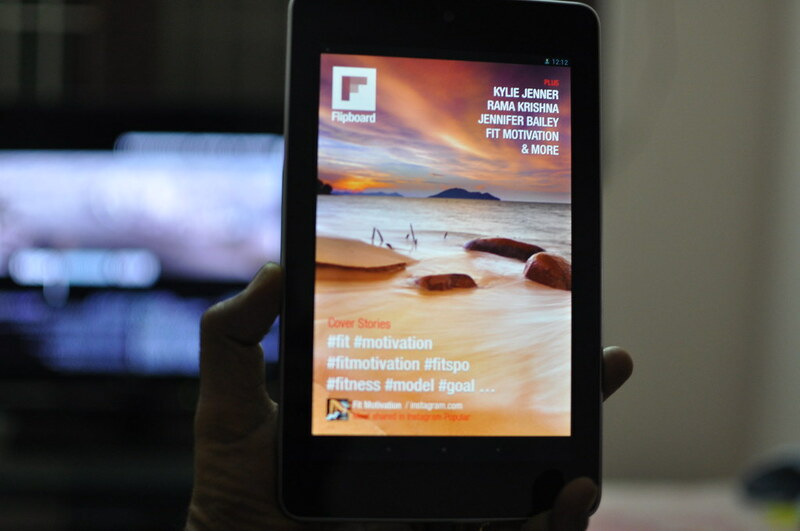 By far the first app that I’ve installed on my Nexus 7 is Flipboard and it’s a very great app to stay updated on all the social media sites. 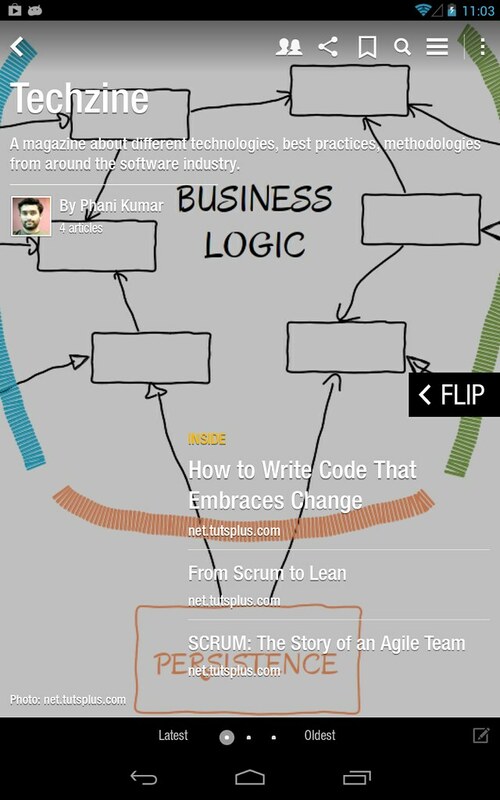 It presents the content very nicely and you can flip through the content. 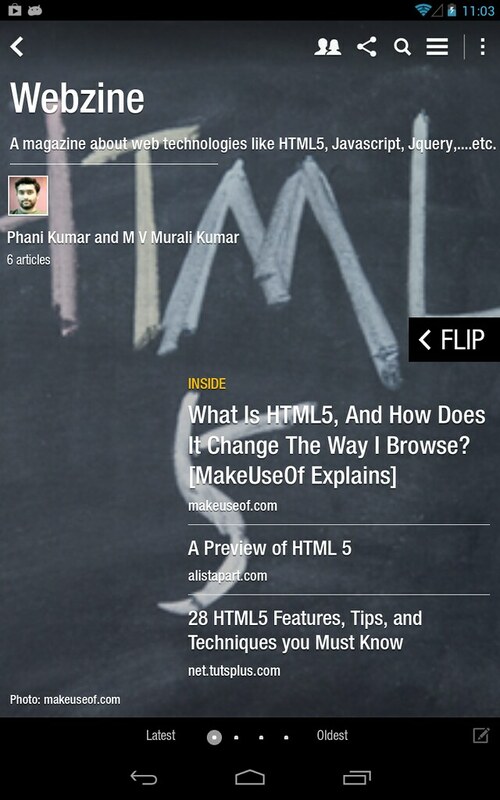 Flipboard is a news aggregator app which is available for Android and IOS. It collects the content of social media and other websites and presents it in a magazine format and allows users to “flip” through their social-networking feeds and feeds from other websites which you can add them. 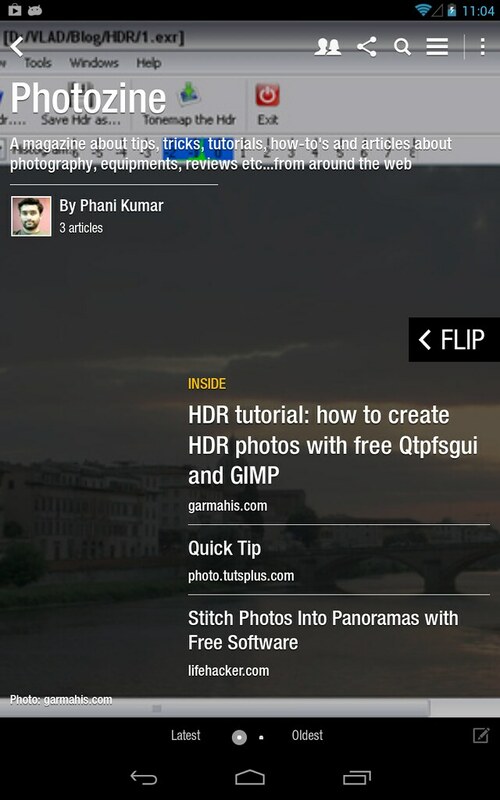 Recently Flipboard has updated with a few new features, including the ability to make your own magazines to which you can add contributors to contribute to those magazines, and a bookmarklet so you can add articles you find on the web to your own magazine.The new personal magazine feature allows you to create a customized magazine with your interests. You can then save that magazine and share it with others on your social networks. Below are some magazines which I’ve created and would like to share with you all. Open the links in your devices and if the Flipboard app is already installed it will open them in the app so you can subscribe to the magazines to stay updated. 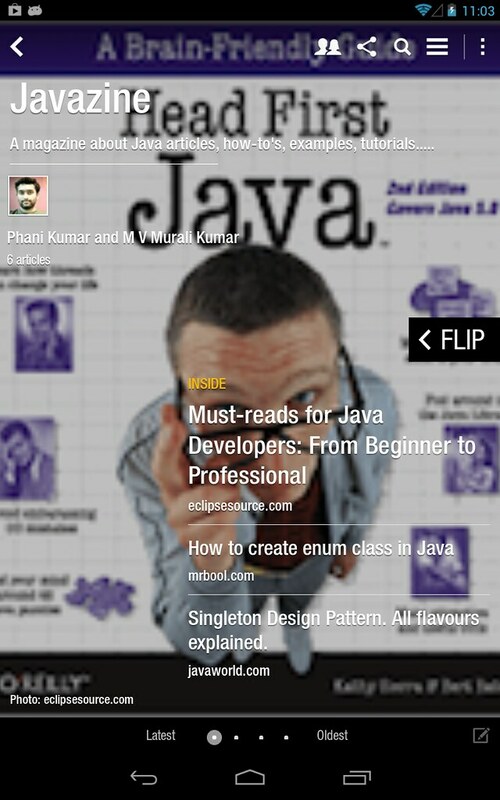 A magazine about Java articles, tutorials, examples, etc…. 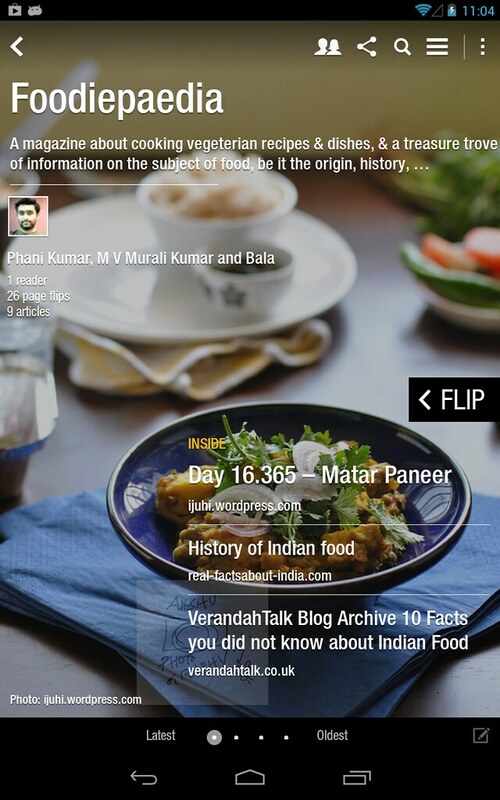 A magazine about cooking vegetarian recipes and dishes…. If you would like to contribute to any of these magazine feel free, leave a message will add you to those magazines as contributors.